A breathtaking Four Bedroom Four Bathroom sea holiday apartment in Blouberg. This apartment is ground level and you can braai. Beautiful views of the ocean and Table Mountain. Situated right on the beach. The complex offers secure lock up garages for two cars. Close to amazing restaurants and shopping centers. Modernly furnished with a sea holiday feel this one bedroom one bathroom self catering Seaside Village apartment is the perfect escape for any traveller. 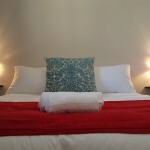 The building is situated close to Eden on the Bay, offers secure parking, a balcony & sea views. The Seaside Village shopping center is located right next to the Seaside Village building for convenient shopping. 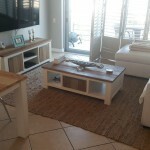 A beautiful bright newly furnished Three Bedroom Two Bathroom sea holiday apartment in Blouberg ideal for the perfect vacation. This apartment offers spectacular views of Table Mountain, the beach and ocean. Situated right across the beach one can simply walk over the road to enjoy a day at the beach. The area offers lovely restaurants to choose from.